Had another beautiful event to cover yesterday as we celebrated the marriage of Emilie and Yann at the beautiful Flower Farm Inn in Loomis. Emilie and Yann are college sweethearts who now look forward to sharing the rest of their lives with each other. We had the pleasure of working with a couple of our vendor buddies — Rev. Jeri Murphy performed a beautiful ceremony and Mike Anderson with Creative Memories did his usual superb job as DJ. Yesterday we shot Jaclyn and Casey’s elegant wedding in Foresthill. The light mist didn’t hold them back from expressing their love in a beautiful outdoor ceremony. It was a great day for us because we got to work at one of our favorite locations – the beautiful Monte Verde estate – and we got to work with some of our favorite wedding professionals — Rebecca and Barry from Ford Family Photography and Joe from SJ’s Disc Jockey. 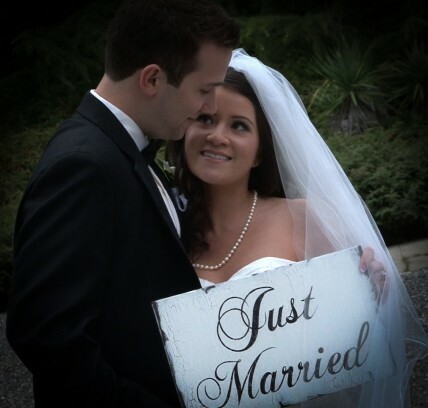 A great addition to your wedding video! Anyone who knows Sarah and Tom knows how much they love to laugh. They have such a great sense of humor that they even chose to get married on April Fool’s Day. When it came time to share their personal vows, they didn’t disappoint. Sometimes couples are hesitant to write personal vows because they find it to be too mushy. But these vows prove that you can also share vows that are humorous as well as heart-felt. Brides always have such cute personalized details for their wedding — from custom made shirts to cake toppers to bridal party gifts, etc. 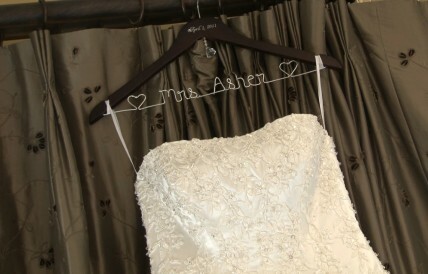 But at Sarah’s wedding this past weekend she had a personalized hanger for her dress that was so cute that I wanted to share it. I don’t know where she got the “Mrs. Asher” hanger, but it makes me want to buy one for me, even though it’s been ten years since I needed it! Please help us in our effort to repeat as the #1 Videographer in Sacramento on the KCRA-3 A-List! Last year we were so honored to earn the top spot and hopefully we will rank in the top again this year. When you look at our quality and what we offer for the price, we are definitely the best deal in town! To vote, just click on the logo below. Thanks so much! Yesterday was a beautiful day as we captured Sarah and Tom’s wedding at Arden Hills. Sarah and her step-mother Debbie made sure that no detail was over-looked for the wedding and their hard work paid off with a flawless day. 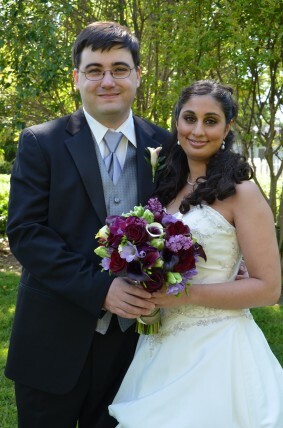 This wedding was very special to us because we got to know Sarah’s family last year at her sister’s wedding. It’s always fun when you are embraced by a family and become their family videographer. Instead of feeling like a stranger at the wedding, you kind of feel like one of the guests. We also got to work with one of our favorite photographers, Shellie from Capture Photography. So it was an all-around great day!